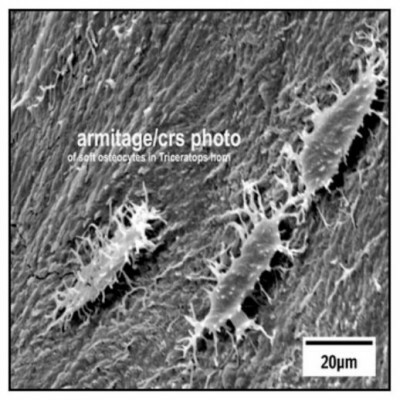 Armitage, who has some 30 publications to his credit and is past-president of the Southern California Society for Microscopy, was hired by the university in early 2010 to manage a wide variety of oversight duties for the biology department’s array of state-of-the-art microscopes, court documents state. He also trained students on how to use the complicated equipment. 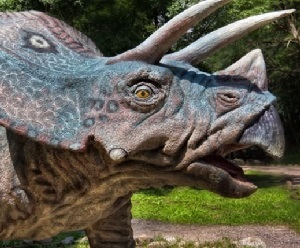 In the summer of 2012, while at the world-famous dinosaur dig at Hell Creek Formation in Montana, Armitage discovered the largest triceratops horn ever unearthed at the site — complete with soft fiber and bone tissues that were stretchy. 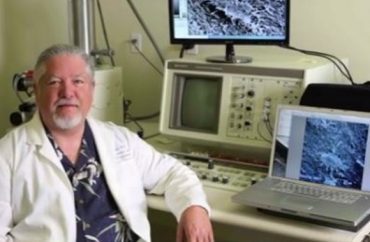 He published his findings, first in the November 2012 issue of American Laboratory magazine, which published images of the soft tissue on its cover, and then online in February 2013 in the peer-reviewed journal Acta Histochemica, according to court documents. Campus officials told Armitage his job was only a “temporary appointment,” and claimed a lack of funding for his position. “To have CSUN associated with the creation heresy — that was the capital offense,” Reinach said, noting Armitage was fired a few weeks after the article was published. He said the article had not gone into the implications of the discovery, only stated the findings. Reinach added the scholarly editors stood behind the publication of Armitage’s work. But it was still enough to rile up some professors at CSUN. 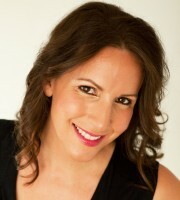 Reinach is executive director of the Church State Council, a nonprofit California-based public interest legal organization dealing with religious freedom issues with a focus on religious discrimination and employment. The university maintains Armitage was let go due to budgetary reasons, and that the public, Los Angeles-based university settled the case to avoid a costly, protracted legal battle. One of the “smoking guns” was an email between campus officials suggesting they could ease Armitage out gracefully by making his part-time position full-time, Reinach said. “Not only did it not support the notion that there was budgetary concerns, but in fact suggested to the contrary,” he told The Fix. Reinach also pointed out that the settlement agreement was forged soon after Los Angeles Superior Court Judge Dalila Lyons issued in July a tentative ruling against the university’s request for summary judgment.